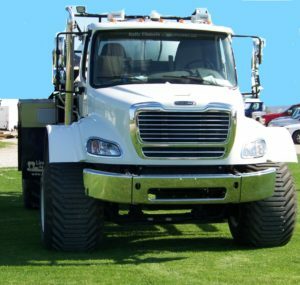 Linco-Precision “Nutri-Plier” our line of dry and liquid truck chassis offering the best of the best in application equipment. 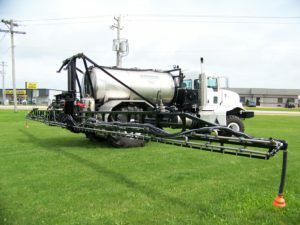 Linco-Precision “Nutri-Plier” Liquid System featuring the original Kelly Mfg Inc. AG-GRESSOR System, by designer and manufacturer John C. Kelly. 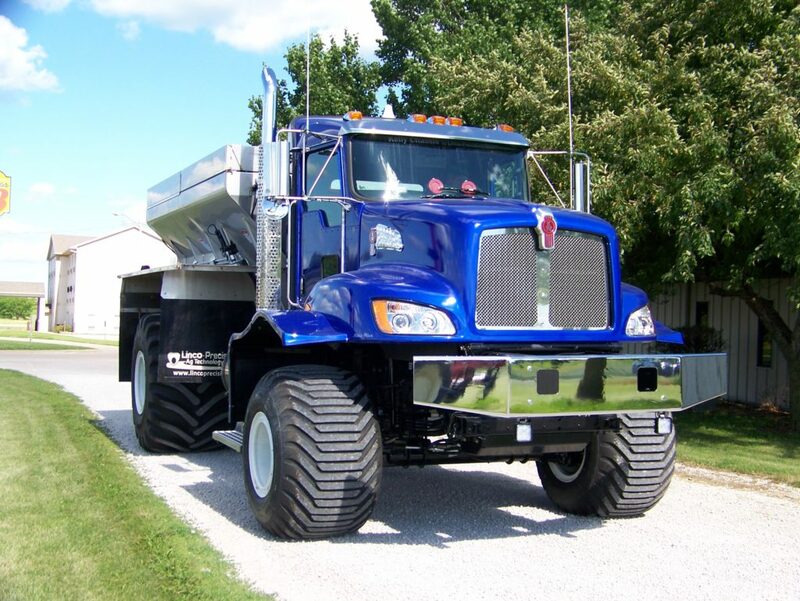 We build AG-GRESSOR liquid systems designed by the original owner/designer to your specifications. 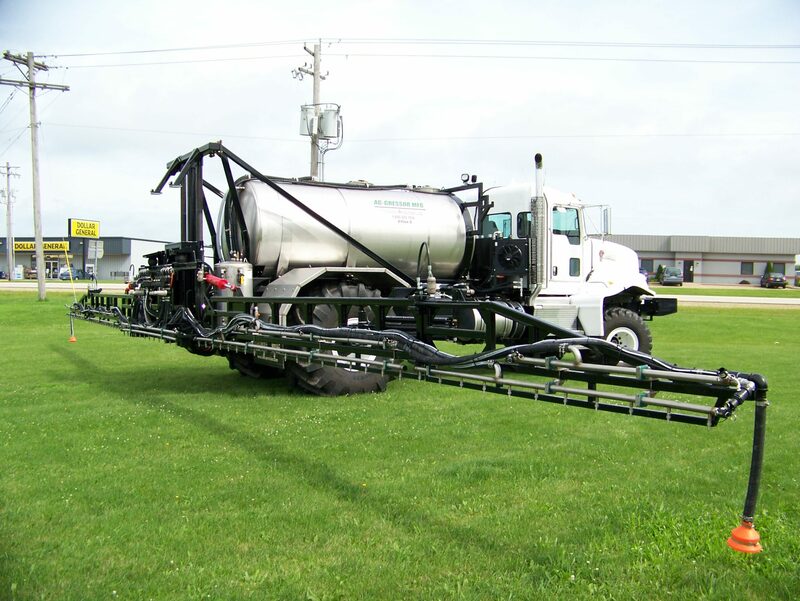 We offer spray swaths from 10” to 120” on center and dual-product applicator systems with a dribble-boom option. Our tank capacities range from 800 gallons to 2200 gallons with the option of dual-product split-tank systems. 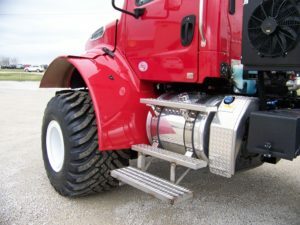 All of our plumbing is stainless steel TIG welded for low, medium and high-volume applications of 5 gallons to 450 gallons an acre, full-weld plumbing, several fluid pumping options, and 2.5 or 5.0 Chemical Eductor or Chemical Inductor systems. Our booms are in-house, Kelly Mfg Inc. AG-GRESSOR designed and fabricated, from 30’ to 100’ in all types of configurations, depending on your needs. 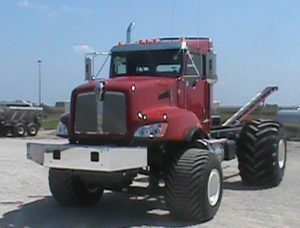 Add one of these Kelly Mfg Inc AG-GRESSOR liquid systems built for 30” or 38” row spacing on row crop tires with our semi-floated or full-floated Freightliner, Kenworth, or Western Star chassis’ and have an exceptional piece of equipment built for your specific needs. 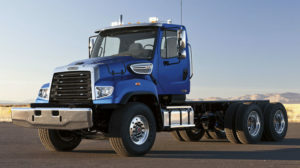 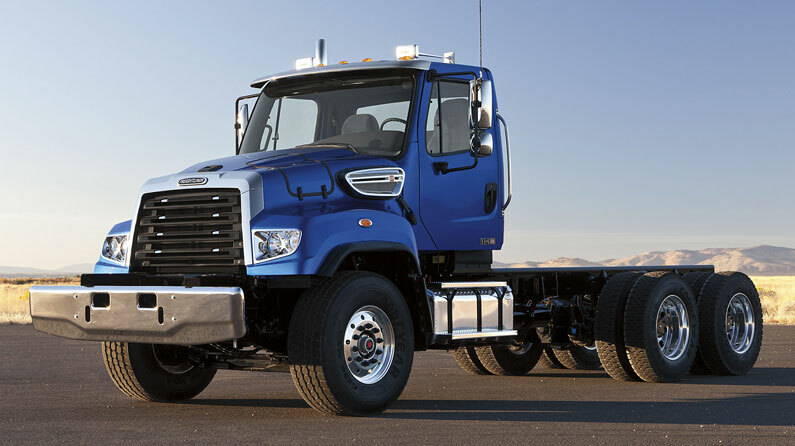 Let us customize a truck to fit your needs from one of our chassis!